Based on a determination by the Scientific Authority, the Department of Environmental Affairs has confirmed the quota for the trophy hunting of leopard (Panthera pardus) in South Africa for 2018. The quota has been allocated as follows: Five male leopard in Limpopo Province and two male leopards in KwaZulu-Natal. The leopard must be older males -seven years or older in both cases. It is important to note that the hunting of leopard is only undertaken in specified hunting zones where scientific evidence indicates stable leopard populations. 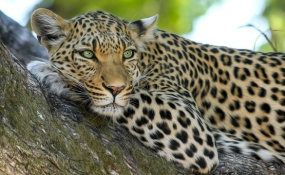 The current determination is based on a review of available scientific information on the status of leopard populations in South Africa and an evidence-based assessment by the Scientific Authority. The Scientific Authority was established in terms of Section 60 (1) of the National Environmental Management: Biodiversity Act, 2004 (Act No.10 of 2004) (NEMBA) to assist in regulating and restricting the trade in specimens of listed threatened or protected species and species to which an international agreement regulating international trade applies. In making the recommendation, the Scientific Authority took into account data and reports from the National Leopard Monitoring Project and other inputs on leopard numbers. As part of an ongoing adaptive management approach, the Scientific Authority concluded that a small quota, restricted to older males and coupled with the implementation of appropriate management systems as set out in the draft Norms and Standards for the Management and Monitoring of the Hunting of Leopard in South Africa for trophy hunting purposes, would not have a detrimental effect on the survival of leopard in the wild. The new quota replaces a zero quota for the hunting of leopard in place since January 2016. It should be noted that quota allocation may change every year depending on the updated available scientific information on the status of leopard populations in South Africa.